Ken Gillaspie was a founding partner of Security First Advisors and an active member of the Money Quotient community of life-centered, values-based, financial planning professionals. Our two organizations teamed up to create the Ken Gillaspie Legacy Fund to honor this special man in a way we think would please him very much. Ken loved his profession and cared deeply about his clients. 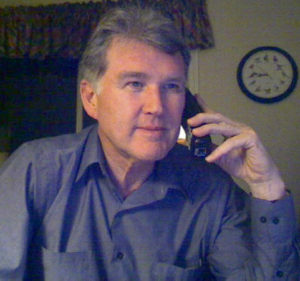 He also believed in following a holistic, life planning approach to delivering financial planning services and advice. He continually nurtured his skills, knowledge, and insight in order to conduct meaningful conversations about money and life with those whom he served. He considered it a joy and a privilege to be involved in the lives of his clients in this way, and encouraged his peers to do the same. Ken understood the link between his personal and professional growth and his ability to effectively guide clients in a life planning process. He frequently commented to his colleagues that the tools and training developed by Money Quotient helped him to meet these objectives and to develop trusting and fruitful relationships with his clients. Therefore, it seems a fitting tribute to Ken to support other financial planning professionals, students, and educators in accessing the same tools and training. Initially, contributions to the Ken Gillapsie Legacy Fund will be used to provide scholarships for the Money Quotient Fundamentals of Financial Life Planning training course and related travel expenses. Members of Ken's firm, Security First Advisors, will comprise the selection committee. They will review the applications and make the funding decisions. In the future, it is our hope that the scope of the Ken Gillaspie Legacy Fund will expand to include additional projects that will further develop life planning knowledge, skills, and training within the financial planning community. "I think how people deal with the financial issues in their lives is very important to the quality of their life and can have a meaningful impact on their marriage, family, peace of mind, and ability to contribute and give back to the community. If we all did a better job of handling our own financial matters, just maybe it could make a positive change in our country and future for our children. I want to help make that difference." In music "Improvisation" is the art of extemporization or creating all or part of a composition at the moment of performance. to improvise effectively, a musician must thoroughly understand the conversation of the a given musical style. theses conversations provide a mental library for the musician — effective chord sequences, rhythmic patterns, melodic motives, and so forth — that are combined, varied and used as a starting point for new inventions. Such resources help give the resulting music the cohesiveness it needs while allowing room for spontaneous creativity. 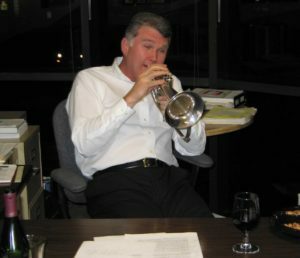 Because Ken was also an accomplished jazz musician, we think the term "improvisation" is an appropriate metaphor for the life planning conversations he came to view as an integral component of his client meetings. That is because there is an element of spontaneity and creativity in this type of client communication. However, like improvisational jazz, composing an effective life planning dialogue is also grounded in a "mental library" of knowledge, insight, training, and experience. It is from this foundation that the planner can effectively facilitate client-foucused interaction about the intersection of money and life. Ken was raised and lived most of his life in Portland, Oregon. He attended Wilson High School, Portland State University, and the University of Portland. His undergraduate work was in business, pyschology, and education; and he earned a master's degree in music. Ken also served in the Army as a medic and trumpet player during the Vietnam War. Ken taught music for several years and then changes careers in 1980 with the establishment of his financial advisory firm. He earned his CERTIFIED FINANCIAL PLANNER™ designation in 1986. Ken enjoyed many years of partnership with Ron Wilkinson and Evan Russell and often said that his great staff and clients made going to work a pleasure. Ken was always actively involved in professional organizations working to better the financial services industry and be of service to the public. Ken strongly believed in the value of a life-centered, values-based approach to delivering comprehensive financial planning services. He understood the role of "dialogue" in getting to know and understand his clients and in helping them to establish financial goals. When forced to take time off from work because of his cancer treatments, he wrote in his blog that what he missed most was having life planning conversations with his clients. 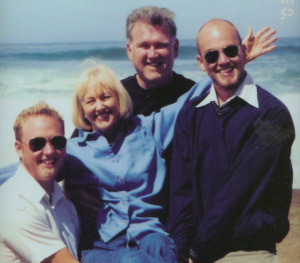 Ken was devoted to his wife Peggy and their two sons, Christopher and David. As a family, they shared a love of traveling, sailing, and playing music together. Ken's love of music permeated his life. He taught music for many years and counted many of his former students as friends. As a local jazz musician, Ken was often spotted in the Portland area playing trumpet and flugalhorn at public and private functions. He also delighted in entertaining his colleagues at professional meetings and conferences by playing his instruments and organizing jam sessions. He influenced many of his peers to start playing and enjoying instruments they had long set aside. Initially, contributions to the Ken Gillapsie Legacy Fund will be used to provide scholarships for the Money Quotient "Fundamentals of Financial Life Planning" training course and related travel expenses. Members of the Money Quotient Advisory Board will comprise the selection committee. They will review the applications and select the scholarship recipient(s). In the future, it is our hope that the scope of the Ken Gillaspie Legacy Fund will expand to include additional projects that will further develop life planning knowledge, skills, and training within the financial planning community. Money Quotient is a 501(c)(3) non-profit organization dedicated to life-centered financial planning, education, and research. All contributions to Money Quotient for the Ken Gillaspie Fund are tax-deductible. The following individuals are invited to submit an application for a Money Quotient scholarship: CFP® certificants and designees, students enrolled in a qualified CFP® program, CFP® Program Directors and Instructors, or members of the Financial Planning Association. To be eligible for selection, applications must not have previously attended the Money Quotient Fundamentals of Financial Life Planning training course. Applications must be received by Money Quotient by Friday, June 28, 2019. Members of the MQ Advisory Board will comprise the seletion committee. They will review the applications and make the funding decisions based on application responses, plans for implementation, and so on. The selected recipient will be notified on Monday July 29, 2019. The 2019 Ken Gillaspie Legacy Fund Scholarship recipient will be invited to participate in the 3-day "Fundamentals of Financial Life Planning" training session held September 18-20, 2019 in Portland, Oregon. The scholarship will cover the tuition in full and up to $1,000 in related transportation, lodging, and food expenses. Please note that the scholarship award does not include fees for purchasing Money Quotient materials. To apply for the Ken Gillaspie Legacy Fund Scholarship, click here to download the Application Form.